The three pcs design Cat6A 8P8C UTP RJ45 Connector use Pinnuo 3 prong contact blades fit for both stranded 23AWG and solid 26AWG wire. The 3pcs design include load bar and insert which provide stable and superior performance when assembly with Cat6A cable. All Cat6A Plugs following FCC standard. 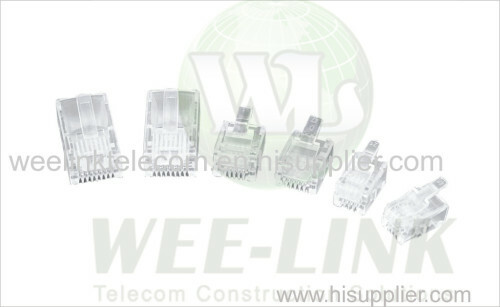 When terminating cat6 rj45 connector,we use the T568A or T568B pin/pair assignment as per ANSI/TIA-568-C.2 standard. Gold Plating: 3u"-50u" are available.